In this article, we’ll see the how the backup-and-restore meta-data tables store the information in the MSDB database. Also, discuss several T-SQL statements to derive most useful information with reference to data purge, database growth, backup report, restore history and more. How do you delete six months old data to reduce the size of the backup and restore history tables? How do you get the Backup History for a specific database including the size, location, and LSN? How do you create and restore a marked transaction? How do you find the RESTORE HISTORY of the database? How do you list the last 30 days restore history at the instance level? How do you measure the database backup or database restore operation progress? How do you measure the database growth using backup size? How do you define or estimate the storage required for database backup? How do you get most recent database backup time for each database? How do you get recent database backup time for each database using PowerShell? How do you get recent database backup time for each database across multiple servers using PowerShell? How do you find the backup history with duration and compressed backup size columns? MSDB database is a log-store and it stores a complete history of all SQL Server backup-and-restore operations. backupfile The system table provides the most granular details of the backup file. It stores one row for each data file or log file of a database. The columns describe the file type, file group name, page size and file configuration information. The table in-house the filegroup configuration of the database. It stores one row for each filegroup in a database. It stores a row for each media family. It stores a row for each backup media set. It contains a row for each backup set for successful backup. Contains one row for each marked transaction that has been committed. It is applicable to only those databases where the recovery model is set to full or bulk-logged. It stores one row for each restored file. It stores one row for each restored filegroup. 1. How do you delete six months old data to reduce the size of the backup and restore history tables? 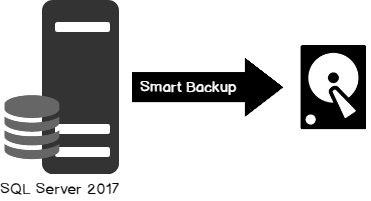 To reduce the size of the backup and restore history tables, delete the entries of backup sets that are older than the specified date-time. It is recommended to run sp_delete_backuphistory frequently to clean-up the entries from the MSDB database. 2. How do you get the Backup History for a specific database including the size, location, and LSN? The following T-SQL provides you the backup information and LSN details of a given database. In the following example, you can see that the LSN is ordered in a Zig-Zag fashion. 3. How do you create and restore a marked transaction? Marked transactions are very useful to recover the database to a logically consistent point. Restore full database backup WITH NORECOVERY option. 4. How do you find the RESTORE HISTORY of the database? This following T-SQL provides you with information about a particular database with the restore history and source, destination, start, end time and type of the restore operation. 5. How do you list the last 30 days restore history at the instance level? The following T-SQL provides you a list of last 30 days data of database restore history. 6. How do you measure the database backup or database restore operation progress? To measure the backup operation progress or estimate the time and percentage completed, you can query the DMV—sys.dm_exec_requests. This script provides the output with backup estimation time and percentage completed. 7. How do you measure the database growth using backup size? You can construct the T-SQL using backup system table to analyze the growth of the database over a given timeframe. The T-SQL script used in the below-mentioned link is used to calculate the capacity planning of the databases. The metrics are useful for capacity planning and forecasting. 8. How do you define or estimate the storage required for database backup? You can refer the T-SQL to get very detailed information about the database backup history. It also talks about capturing the baseline database growth metrics. 9. How do you get most recent database backup time for each database? 10. How do you get recent database backup time for each database using PowerShell? Write-Verbose "Preferred SQLServer module found"
Write-Host "Check the Module and version"
11. How do you get recent database backup time for each database across multiple servers using PowerShell? This can be done using looping construct in PowerShell with very few lines of code. 12. How do you find the backup history with duration and compressed backup size columns? Thus far, we’ve covered most of the concepts of “database backup-and-restore” operations. Please refer the TOC for more information.